New AutoCanada Executive Chairman Paul Antony. The new executive chairman of AutoCanada Inc. says the public dealership group has consistently fallen short on its financial goals — and it’s his job to change that. Just don’t expect him to say specifically how he will do it — at least not yet. “I want to underpromise and overdeliver,” Paul Antony said in an interview with Automotive News Canada. “I want everyone to get used to [thinking] those guys at AutoCanada are like freaking Jedis. We want people to want to sell their stores to us, not just because we’re going to make them more efficient but also because we have a skill set that they don’t. Antony, 50, who founded the vehicle history provider CarProof, was brought on as executive chairman in August after becoming board chair in July. 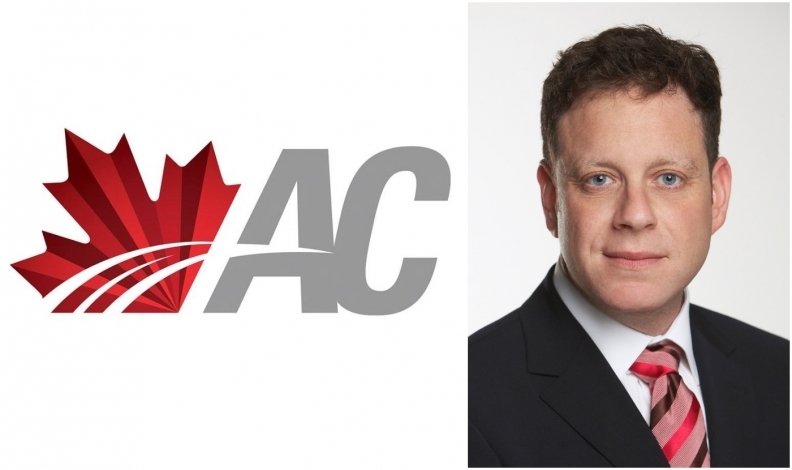 He takes over during a tumultuous summer at AutoCanada, marked by disappointing second-quarter earnings, a $44 million write-down of its recent acquisition of a U.S. dealership group and the departures of several key executives including CEO Steven Landry. A full rundown of who's in and who's out here. On paper, nobody has replaced Landry, who became CEO in 2016 and now has moved into an advisory role with AutoCanada. But in effect, Antony is CEO for the time being. “I'll be assuming the role of [executive] chair and assuming a lot of those roles of CEO at this point in time and helping steer the company,” Antony said during an August call with analysts. “To be frank with you, this is open-heart surgery, and we’re going to do what we need to do to get this company operating as a highly efficient dealer group, and we intend to do that as quickly as possible. Chris Murray, an analyst at AltaCorp Capital Inc., said the rapid management changes have raised questions about AutoCanada’s strategy on everything from earnings to acquisitions. That’s by design, Antony said. AutoCanada had been too eager to promise amazing results for shareholders, he said, and it suffered when it fell short. Investors hammered AutoCanada in August after it reported a second-quarter net loss of $41.3 million, down from net income of $24.9 million a year earlier. Revenue dipped 1.6 per cent to $880.6 million as new-vehicle sales fell 6.9 per cent to 12,506 units, in part due to the Canadian sales struggles of Fiat Chrysler Automobiles. AutoCanada shares traded for as low as $9.61 in August, down from a year-to-date high of $23.64 and an all-time high of $90.45 in June 2014. The drop came as the company already was under pressure from activist investors, including Clearwater Capital Management Inc., which called for a strategic review of its plans. The quarterly loss was due, in large part, to a $58.1 million impairment charge, $44 million of which was a write-down on AutoCanada’s March acquisition of eight dealerships from Grossinger Auto Group in Illinois. In July and August, AutoCanada hired an array of experienced auto executives from the United States and Canada. Besides Antony, Michael Rawluk, former COO of Birchwood Automotive Group in Winnipeg, was appointed president; and Bill Berman, a former COO of AutoNation Inc., the largest dealership group in the United States, joined as president of U.S. operations. Burrows was replaced as CFO by Raj Juneja, a partner at Davies Ward Phillips & Vineberg LLP, a Toronto business law firm that advises AutoCanada. The company also hired Peter Hong, a partner at the law firm, as chief strategy officer and general counsel. Antony said Hong was brought in for his expertise in mergers and acquisitions, just as Rawluk was hired for his knowledge of Canadian dealership operations and Berman for his knowledge of the U.S. market. The new hires were made to ensure something like the Grossinger write-down does not happen again, Antony said. “We’re an M&A platform once we fix our operations,” he said. “And as you saw with the Grossinger write-down three months after we bought it, we probably didn’t do a great job of M&A. AutoCanada will continue to look for acquisitions on both sides of the border, although it will exercise caution, Antony said.